Closed construction fences are mainly used in big cities like Berlin. 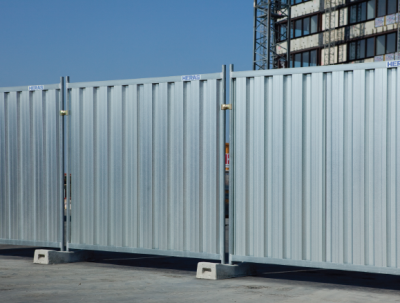 It is precisely for this problem that Heras Mobile Fencing has developed new construction fence products for Berlin: closed construction fences and privacy screens. The mobile, closed construction fences are available with a half-height or completely closed privacy screen. 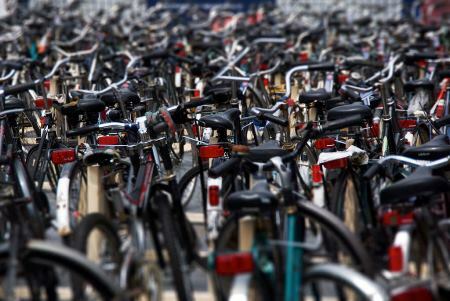 This not only provides security against unwanted bicycles, but also against vandalism and unwanted graffiti. In addition, the construction fences fit wonderfully into Berlin’s streetscape. The closed construction fences are already being used successfully in large cities such as Berlin, as well as in the Dutch cities of Amsterdam or Utrecht. This mobile construction fence is ideal as a privacy screen and as a security precaution. case, no diagonal struts are used, but rather posts are buried in the ground. everywhere. Therefore, construction fence the provides a clean street scene in Berlin. the curious passer-by can also take a look at the construction site. The M850 privacy screen is perfect as a barrier and as a security precaution. In addition, it keeps dust, paint, and other material off.